Howdy, how are ya? Let’s talk about something near and dear to my heart. Wanna guess what it is? 😛 If you guessed “food” you are correct, but if you guessed Southern Catfish, you win a prize! haha! Just kidding. 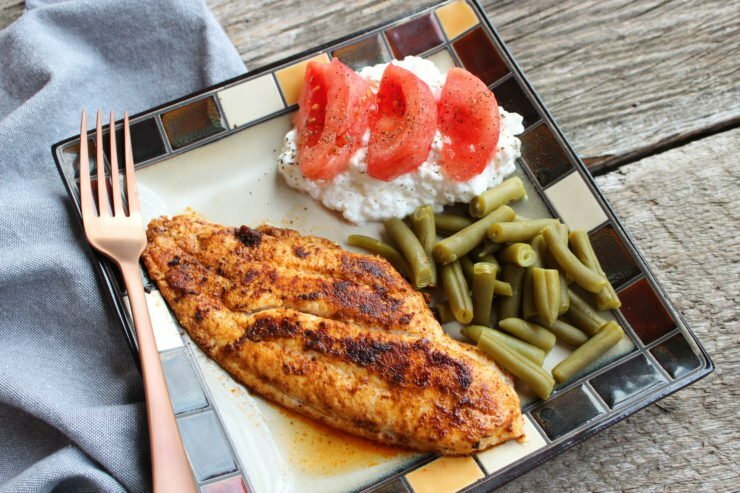 I’m not giving out any prizes today, well, unless you consider this easy peasy super clean and delicious recipe for Southern Catfish a prize, and you totally should because it’s the bomb diggety! 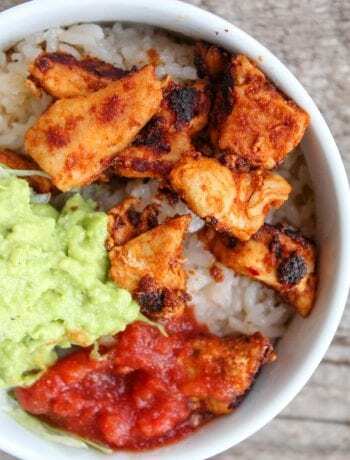 Last week I challenged myself to make one of our classic, summer favorites into a clean, healthy, whole foods meal that we could all enjoy without all of the batter, grease, and unhealthy fat that usually accompanies southern fried catfish. Now I gotta tell ya, I really feel like I should win something for coming up with this wonderful creation. I promise, once you taste this, you will not want catfish any other way! My husband loves to fish and often brings home catfish, crappy, and brim in the summer for me to fry and make a wonderful, fish fry meal. 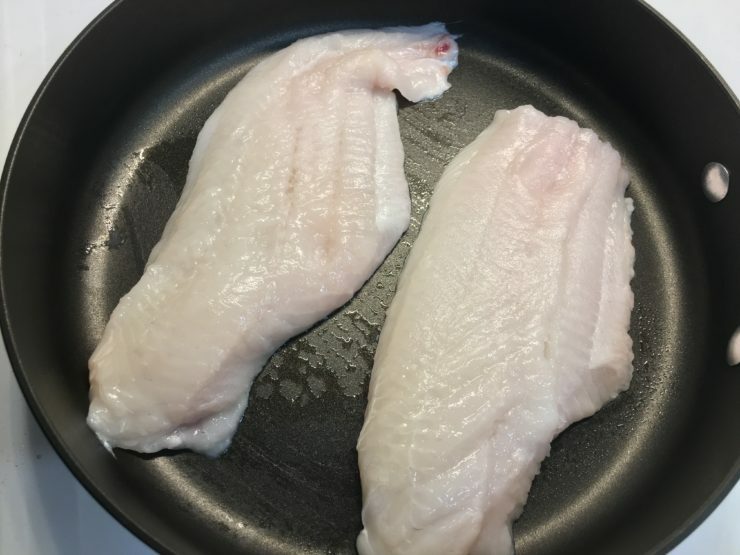 He hasn’t had a chance to go fishing yet this year, so I purchased these huge, wild caught, fresh catfish fillets at our local grocery store, on clearance for only $3 for both of them. The fillets were so huge we made four meals out of them! First, let’s start out with two large catfish fillets and a large skillet. The skin has been remove from these catfish fillets and I just gave them a quick rinse under cool water before placing them in the skillet. 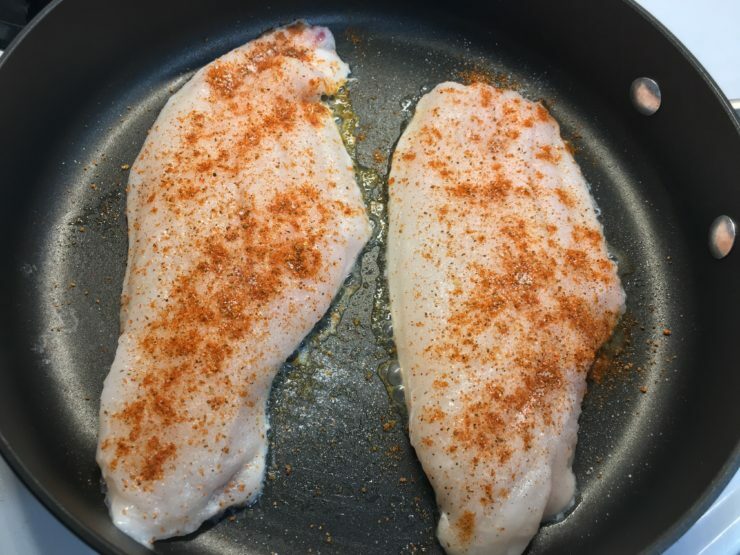 Spray each fillet with nonstick cooking spray (any kind will do and the cooking spray will not count against you as an oil) and then sprinkle Old Bay Seasoning, Garlic Salt, and Tony’s Creole Seasoning over both sides of the catfish. Now for the real kicker, the lemon juice. 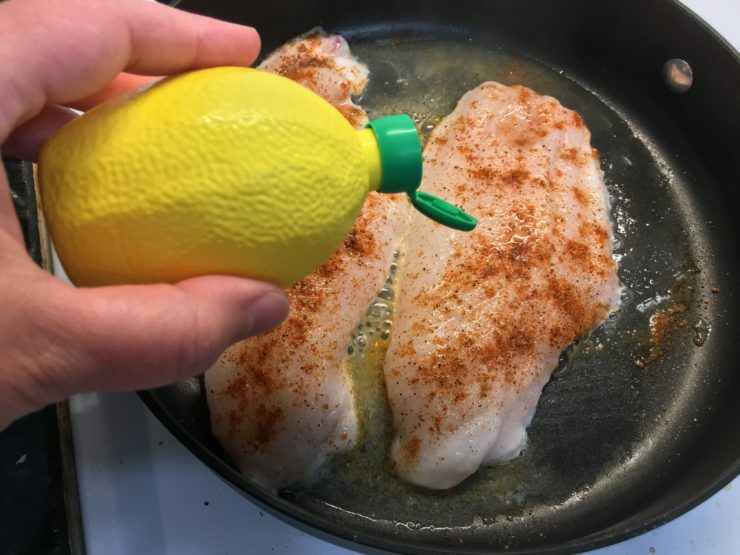 I love adding lemon juice to any fish that I cook because it helps to neutralize any odors or strong flavors and it just gives the fish such a juicy, succulent taste! Surprisingly, this catfish didn’t have any strong odors (or any odor at all while cooking) but some fish can be very smelly, so the lemon juice helps with that. 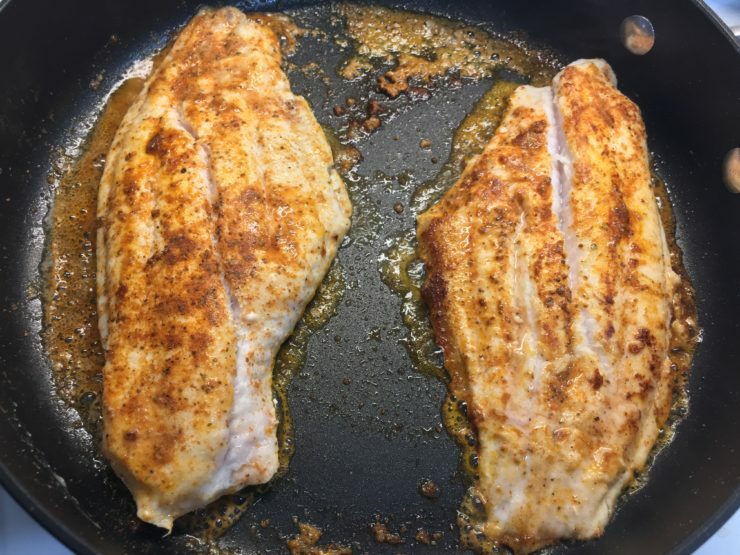 Once the lemon juice has been added to the pan and all of the seasonings have been added to both sides of the fish, just continue to cook the fish on medium heat, carefully turning the fish every 2-3 minutes to ensure that both sides of the fish begin to brown and blacken and that the fish cooks through. These catfish fillets were large and thick so it took a bit for them to cook completely, and as you can see, they’re not quite done yet here in this photo. 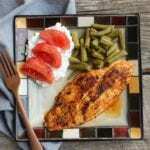 You’ll know your fish fillets are cooked through when the meat is completely white and flaky and the fish fillets have blackened. Oh, and in case you’re wondering, I didn’t use any oil or butter to cook these southern catfish fillets in. The juice you see in the skillet is a combination of lemon juice, seasonings, and nonstick cooking spray. It really is possible to “fry” fish without all of the unhealthy oils! 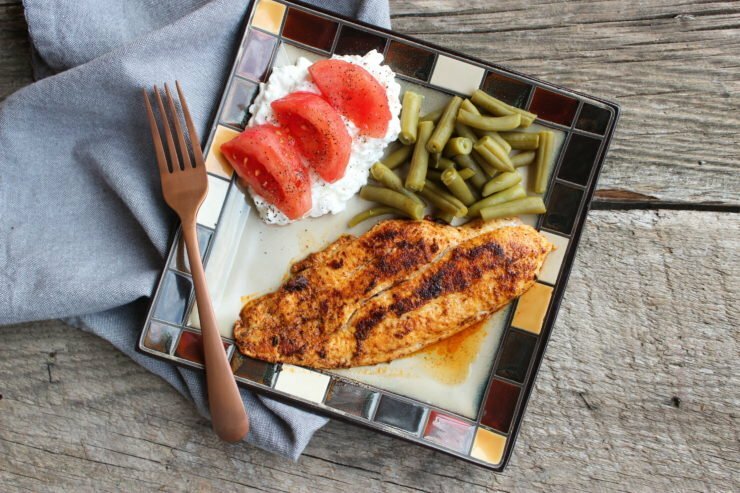 I paired my southern catfish with cottage cheese, some slices of garden fresh tomatoes with salt and pepper, some green beans, and (not pictured) fresh sauerkraut. I have never thought to pair sauerkraut with fish before and it turned out to be an absolutely delicious and winning combination! 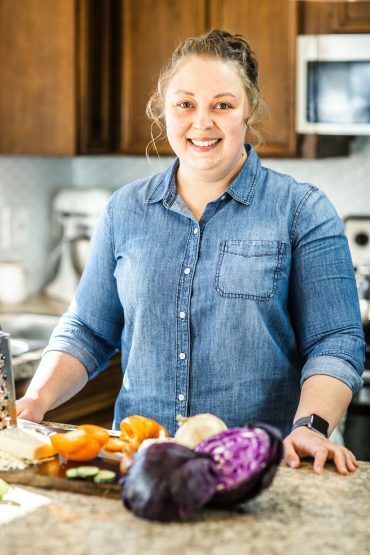 I hope you all have enjoyed stepping into my kitchen today and learning how to make southern catfish without the unhealthy ingredients. 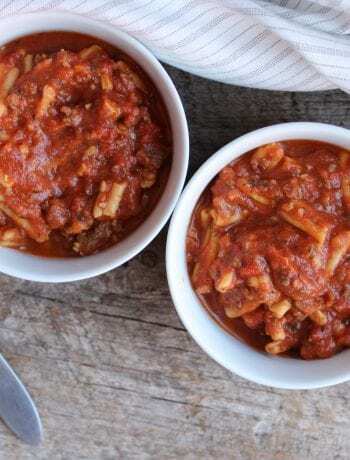 If you choose to try this recipe, I would love to hear what you think! 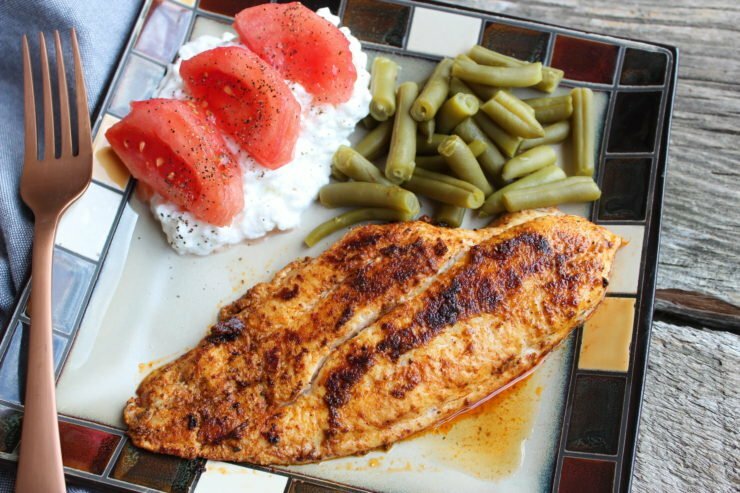 A healthy, clean, recipe for Southern "fried" Catfish without the unhealthy fats and ingredients. 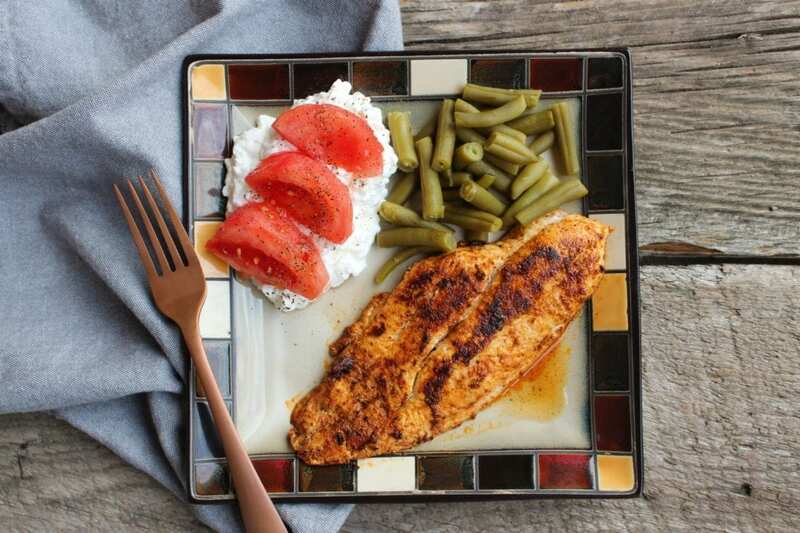 Place both catfish fillets in a large skillet and spray the fillets with nonstick cooking spray. Liberally season both sides of the catfish with the Old Bay Seasoning, Garlic Salt, and Tony's Creole Seasoning, and then add the lemon juice to the pan. Cook the fillets on medium heat, turning over every 2-3 minutes until the fish is completely cooked through, white and flaky, and slightly blackened from the seasoning. 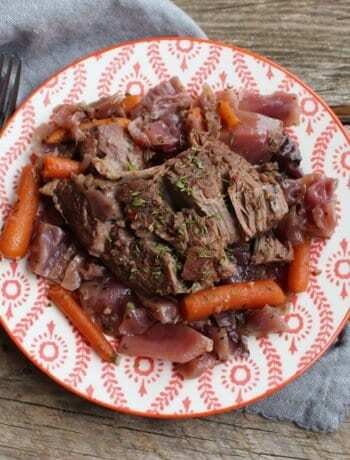 Remove from the hot skillet and serve with your choice of side items.